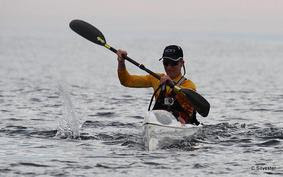 An EPIC KAYAKS V10L Surfski is up for grabs and after 6 races of the Southern California Winter Race Series the competition is really heating up with early front runner Bayley Olds just managing to hold onto his lead with 264 total points. Bayley has had some great performances with Short Course age group wins at La Jolla and Santa Barbara where he also finished in the top ten overall. Close on his heels and only one point behind Bayley (with 263 points) is a hard charging Michael Lowe. 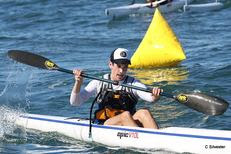 Michael, after coming a close second to USA Junior National Team member Garen Doyle in the first few races, has had some great finishes in Santa Barbara, Newport and Hano Hano races to win the 19 and under age group in the Long Course. San Diego Canoe Kayak Team Celebrating 15 Years of offering a year-round PaddleSports Program to the youth of San Diego.